OSHINO LAMPS sub-miniature and halogen lamps are approved for all civil and military aircrafts. 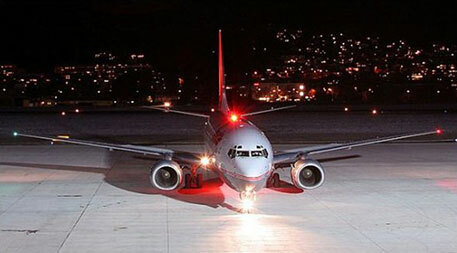 Our product range encompasses parts for airplane switches, instruments, cabin lights and exterior illuminations. NATO Code-Numbers, OEM part numbers and other international part numbers are cross referenced to Oshino Parts purchase numbers. 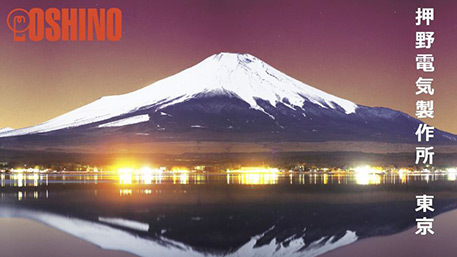 OSHINO Lamps is your reliable development partner for illuminated products. Our experienced engineers will assist you during design studies and concept phase with CAD design and light simulation through each phase from prototype to high volume mass production. Reliable electronics, homogeneous illumination, customized colours, thermal management and a high lifetimes are examples of our stringent quality standards. 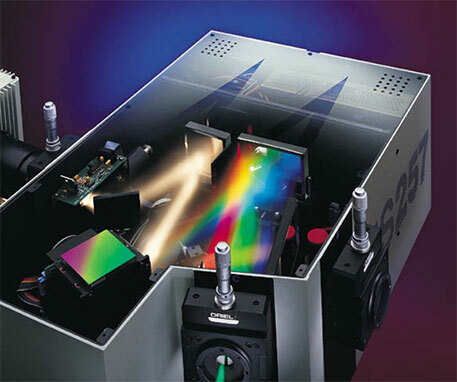 Laser technology offers outstanding illumination potentials. OSHINO LAMPS is your knowledgeable development partner to implement your ideas into practise. 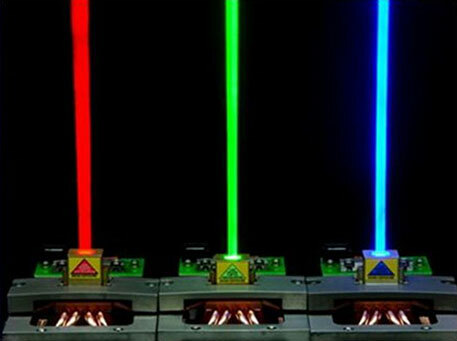 In accordance with DIN EN 60825-1 our team of optical and electrical engineers will support your customized designs of laser and light fibre applications from prototypes to mass production. Family owned OSHINO LAMPS is a steadily growing company and your competent partner for innovative and high quality illuminated products. We offer our worldwide project support for R&D and mass production of illuminated products and lighting technology. From first concepts, with supporting simulation techniques, to prototypes and finally series production, we shall be glad to realize your ideas. We are a recognized supplier in all fields of the industry. Our brand name “OL” is a synonym for quality, service and reliability since 85 years. Illuminated accents for automotive interiors – customized car interiors and exceptional illumination solutions are today’s automotive trends, in all cars, from small sized city cars to luxury vehicles. Accentuated lighting effects improve the visual of the interior and create a pleasing ambient mood. 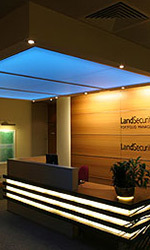 Lighted products are also used to display essential information and safety aspects. OSHINO LAMPS specializes in customizing the products. Individual design and your specification is the basis for our engineering efforts. “The appearance of the car interiors has changed dramatically during the last years. Besides classical functional illuminations of switches and displays we can see ambient lighting coming up nowadays. It is our goal to create a most pleasant car interior for the customers well being”, states Karl Pensl, CEO of OSHINO LAMPS GmbH. Lighted products from OSHINO LAMPS are key elements for many medical products. 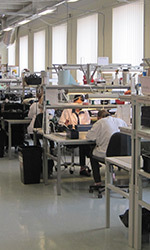 For many years OSHINO LAMPS, together with their well-known partners USHIO and Welch Allyn have been supporting the medical equipment industry with their experience and know how. 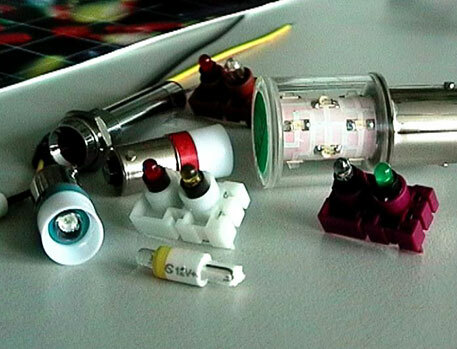 Whether it is a light source for a microscope, or the SOLARC light sources for a micro-invasive operation device or a camera system, OSHINO LAMPS supplies the OEM and aftermarket with certified OEM quality products. We provide the LED light source and LED light engine, as well as the gas discharge reflector lamp to fit your equipment. Would you like to reduce energy and maintenance cost while increasing appeal at the same time? 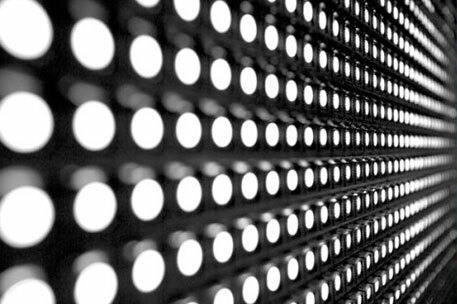 Have you had enough of non professional, unattractive, inhomogeneous illumination appearance due to failed fluorescent tubes? Super Orbis LED gen² is your innovative and energy saving illumination. 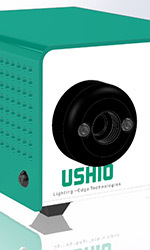 OSHINO LAMPS is your partner for sub miniature vacuum lamps, gas filled lamps and LED-Lamps for industrial and surveillance applications, in industrial equipment and in power plants. Our super bright based LED Lamps are available in voltages ranging from 6V DC to 230 V AC. We can supply from stock most colours and shapes. All bases, like wedge base, telephone base, subminature and midgetflange up to Ba9S and Ba15d are available. OSHINO NDIR Lamps are powerful and reliable emitters particularly for CO/CO2– Detection in automotive applications, i.e. exhaust gas analysis, in the medical industry for the analysis of breath gases and for numerous applications in the chemical industry. More information on our range of products and support for your product ideas are provided by OSHINO LAMPS technical staff. 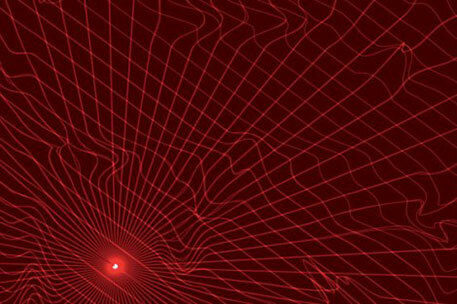 OSHINO NDIR lamps are powerful in the near IR wavelength range and provide accurately positioned filaments. A long lifetime and a low thermal time constant are essential features. 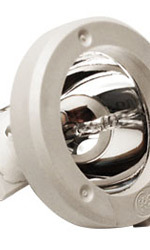 NDIR lamps from OSHINO LAMPS are small sized and are designed and produced to provide a high IR output with a quick thermal rise time, whilst having a low heat emission.